The Green Girl spent her Fourth of July holiday weekend up in Northern California visiting her family. I don't usually do long runs when I'm up here because it takes time away from my early bird niece but with the San Francisco Half Marathon less than a month away so I thought I'd make an exception. There is something intensely liberating about runs where I have no route or destination in mind. This was going to be one of them. 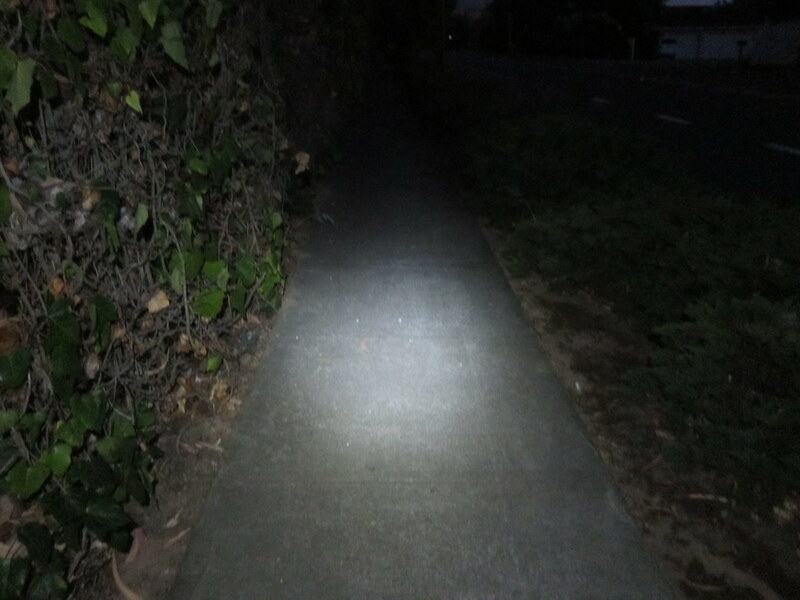 It was pitch dark out when I headed out with my trusty headlamp. I ran past the Saratoga Parent Nursery School where my youngest sister attended preschool. As I continued down Saratoga Sunnyvale Rd., I decided to run up and down the halls of my former high school, Saratoga High. I finally got to see the mural on the outside wall of the school's Little Theater. 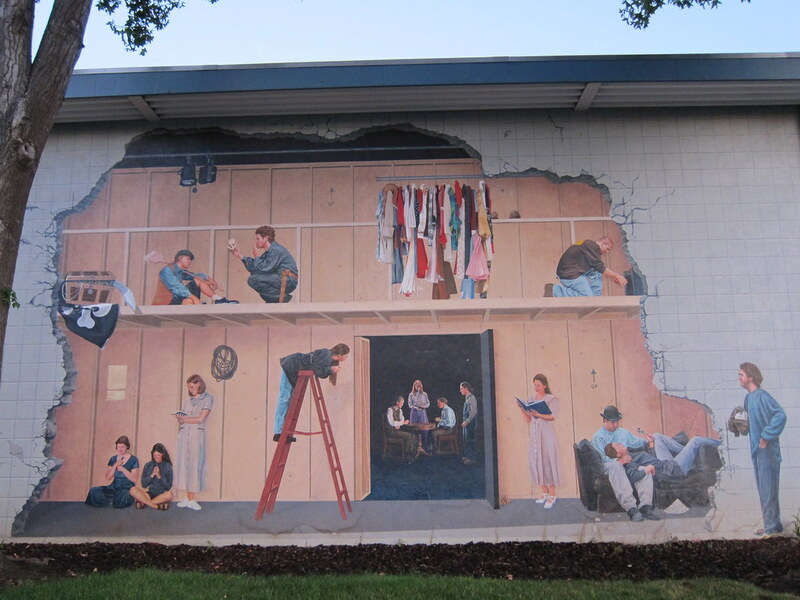 The mural depicts the Little Theater's first-ever production, 'Our Town'. The image was created by students, Doug Leverich and Jim VanOver. Before the sketch for the mural was complete, Leverich was diagnosed with non-Hodgkins lymphoma. He finished the sketch knowing he would probably not live to see the completion of the mural. He was a freshman when he participated in the play, and in the mural, he is displayed as a graying figure. 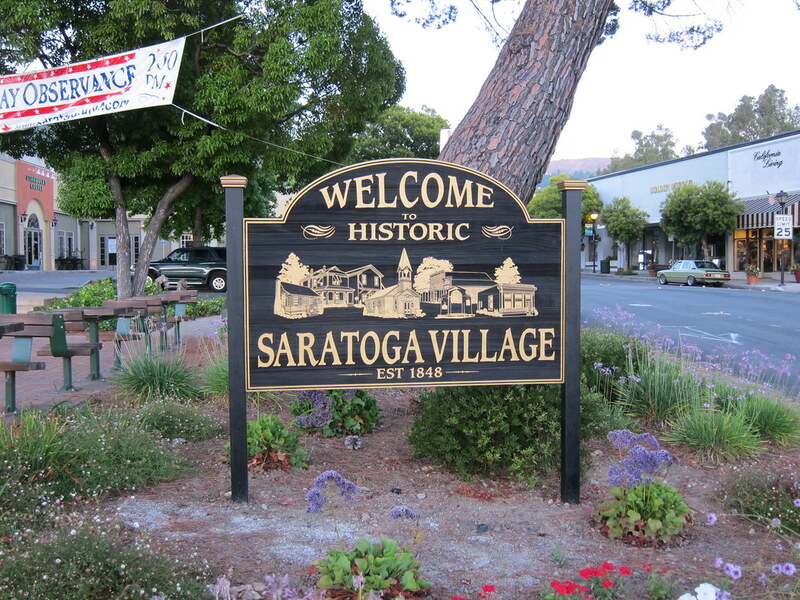 From there, I decided to head downtown Saratoga. I followed Big Basin Way through The Village but had to turn around at Hakone Gardens when the road became too narrow for me to run safely on the shoulder. As I was running back through downtown, I started scanning for possible bathroom options - a squat behind some bushes was not a option. I sprinted to Wildwood Park to find locked public restrooms. Luckily, I found relief at the The Inn at Saratoga. Feeling like a new Green Girl, I decided to go along my old high school P.E. class running route. I laughed at the memory of me hitching rides with friends to avoid having to run the full distance. 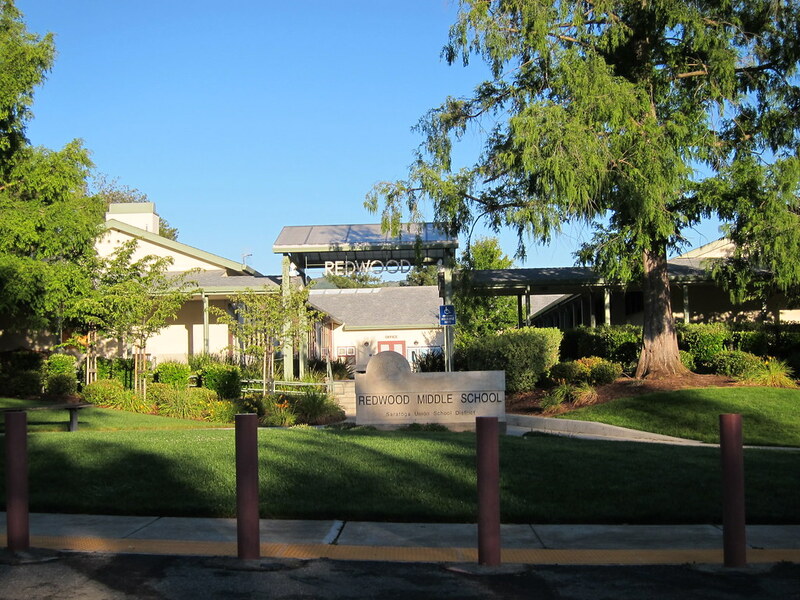 Feeling nostalgic, I decided to head over to my former junior high, Redwood Middle School. I went south on Fruitvale Ave. until I reached a good halfway mileage point. I decided to cross over and ended up winding around the De Anza College campus. I followed the path my dad used to teach me to drive a car back when I was a freshman in high school. The empty parking spaces reminded me of the hours I spent learning to park in between the painted lines. The run was emotionally satisfying for me. I was able to mentally work through some unresolved issues from my past that I had managed to avoid for well over a decade. I was also pleased to see I was still feeling the positive effects from my ART session. My calves felt really good throughout the entire run. My only caveat would be to avoid ball pits after ART. Ha. 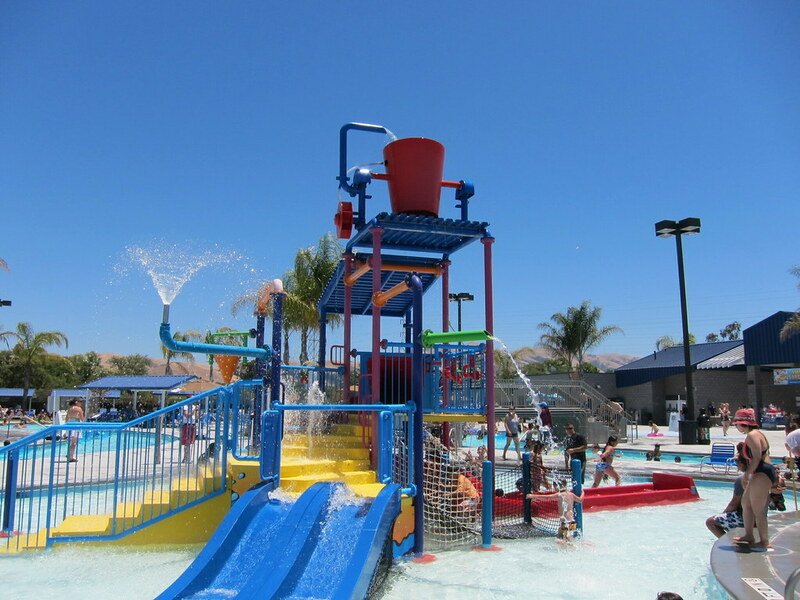 When I got back to my parent's house, I quickly showered and threw on my swimsuit to take my niece to the Aqua Adventure Waterpark. The cold water felt really refreshing after my long run. Sounds like a perfect run!! That water park looks soooo refreshing! I will be in SF for the marathon, we should plan a meet-up at some point with the blog world??? Awww! This sounds like such a cool run! Like race in a new city kind of cool! With all of these wonderful landmarks that hold memories in your running heart! HAAAAAAAA I almost fell of my chair my smile was so big when I read about the not running the full mile in High School, that was totally Rad Runner style (it was like in another life almost!) nuts!and to end it all at the H2o park!? AWESOME! I get a similar feel when I visit south Louisiana. I lived down there for over 15 years before starting the wandering trek north. What a lovely run! I absolutely love the trusty headlamp pic! I ran a race that passed through places where I grew up earlier this year. It was great. One of my former roommates grew up in Monte Sereno (which I think is nearby). Always great to run near home. I have run the Skyline 50K, near where I grew up in Piedmont. Noticed you live in Long Beach. Wanted to invite you to come running with A Running Experience Club (arec-lb.com) on any Wednesday at 6:30pm. Would invite you to run Saturdays, but see that you are running with Sole Runners, but come join us when the marathon training is over and run trails (starting in November). Sounds like a fantastic run!!! Great job! And I cant wait to see you in SF! It seems like you had an awesome trip and an awesome run! Glad that you are doing so well! What a neat perspective to run through your hometown. That water park looks awesome!